And I am back again with a review! I’m sorry for kinda disappearing, college really took all my time in the past months! 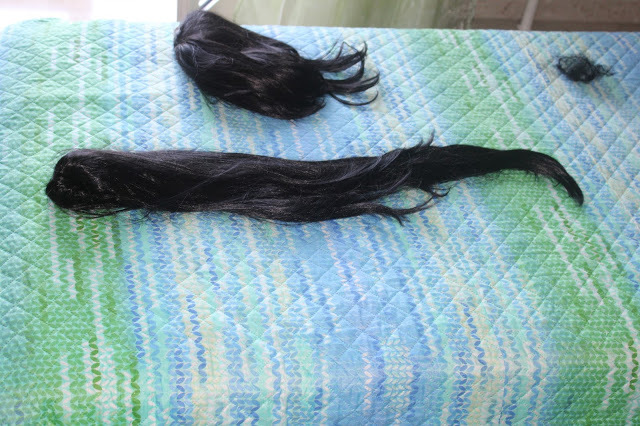 I’m going to review to wigs I bought from L-email. I already reviewed two wigs from her here, if you are wondering. 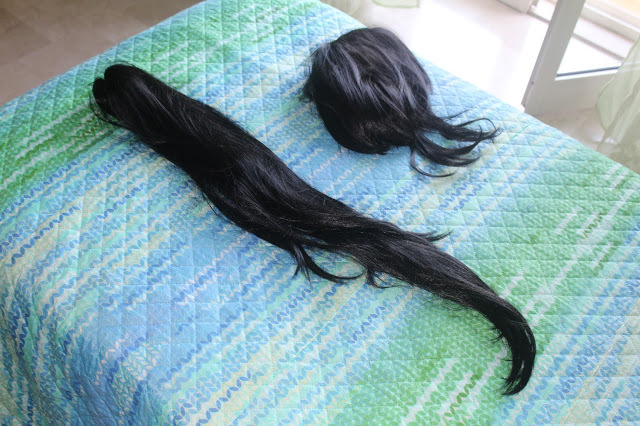 Today I will be reviewing a Gumi megpoid wig and a Kuroh Yatogami wig. The parcels came in pretty quickly, considering the fact they usually arrive after 30-40 days with the standard shipping method. They actually took almost 20 days, so I think it is awesome! But let’s move on to the wigs! 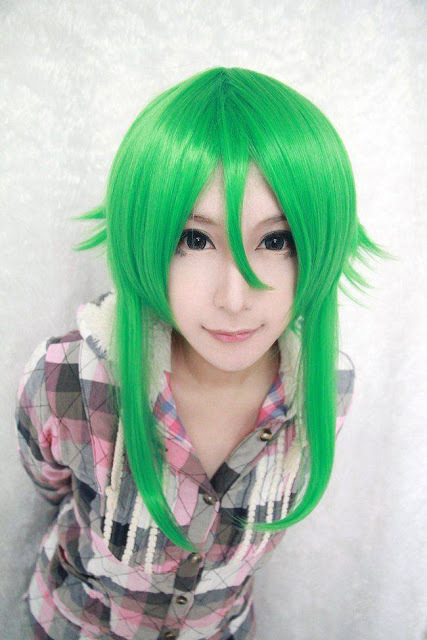 I will be starting with my Gumi Megpoid wig, from Vocaloid! I don’t have a link to the shop she bought it at, but here you are the stock photo! This is what I got! As you can see the green is very vibrant and it looks totally awesome! The fibers are made of kanelakon, so they are heat resistant! Also, the wig is very thick, so I am not afraid my hair would show up, as well as the wig cap! 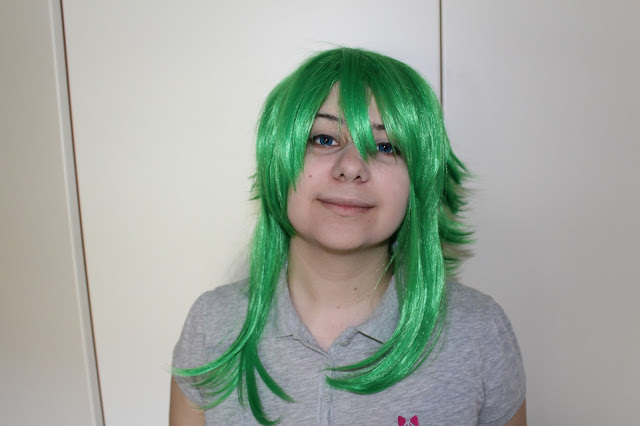 The wig is long on the front, while on the back it is short, just like Gumi’s haircut! 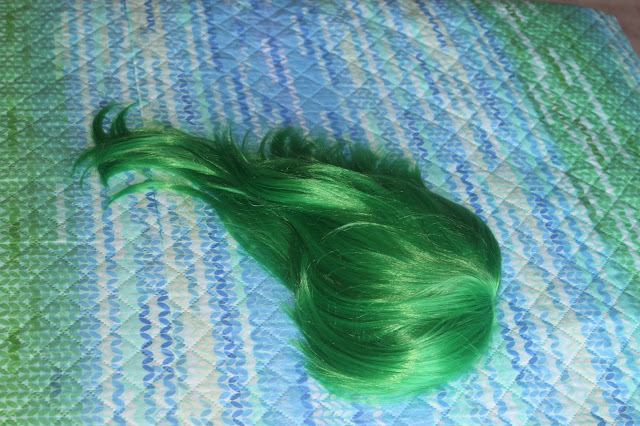 The fringe was pretty long, so I needed to cut it a bit, to make it more similar to Gumi’s. 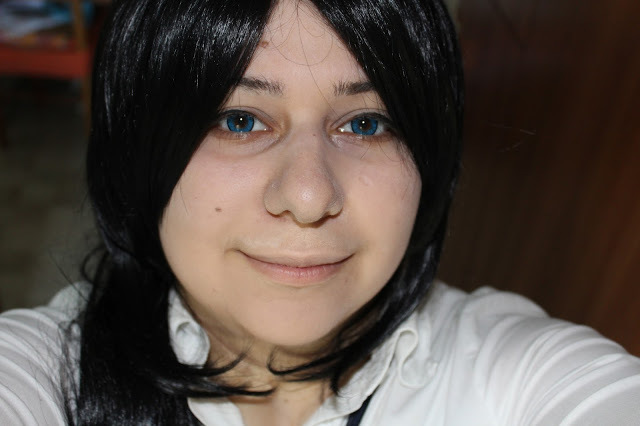 I’m going to show you now how this wig fits me, so be ready for a photo spam! I really like its style, so I am more than satisfied with it! Let’s now move to the next wig!! 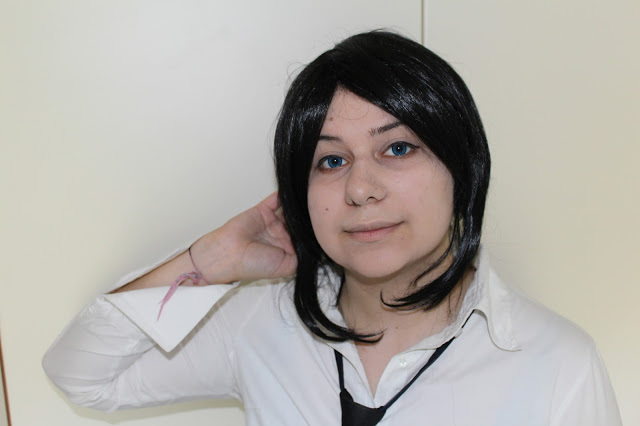 So I also ordered a Kuroh Yatogami wig, from [K] Project, even though I will need it to make my brother cosplay two other characters! 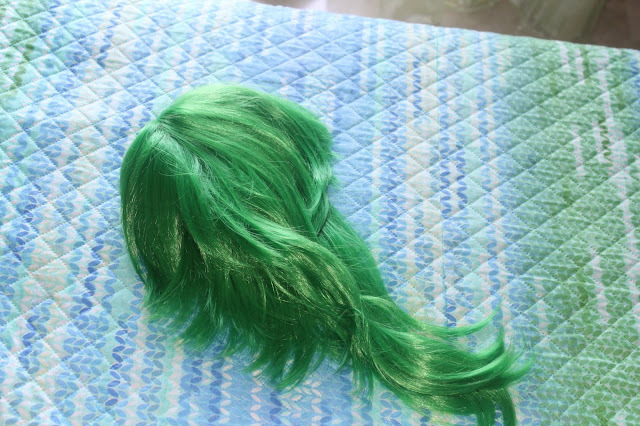 Again here you are the stock photo of the wig I purchased. Also for this, I don’t have a direct link to the shop! This is what I got! 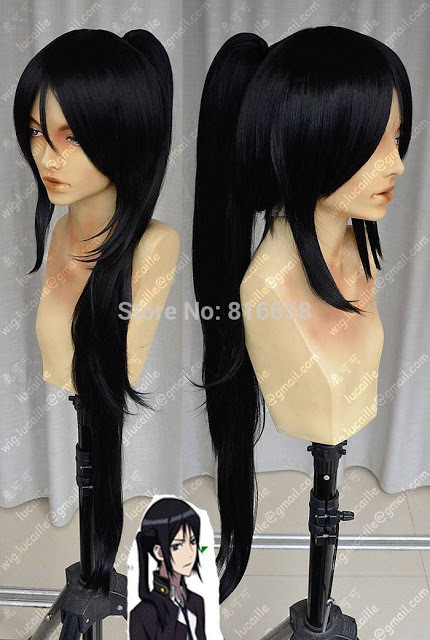 The wig comes with a base and a 80 cm long ponytail, that can be attached to the base thanks to a clip. 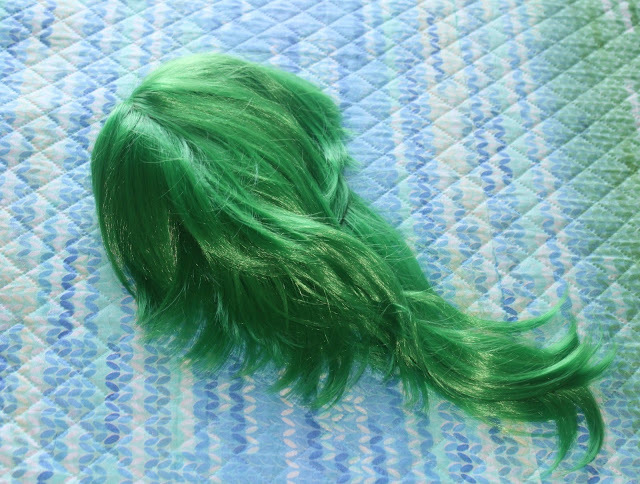 I suggest you tu use only a wig cap when wearing this wig, since the ponytail does not stand using more than one cap. The fiber is heat resistant, just like every wig she looks for and sells. I like that deep black colour, since it is not too shiny and it can look like real hair! 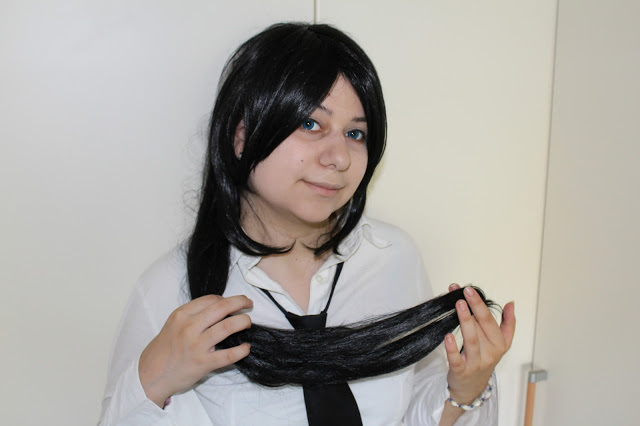 Now I am going to show you how this wig fits me, while I made an istant cosplay of Kuroh Yatogami! 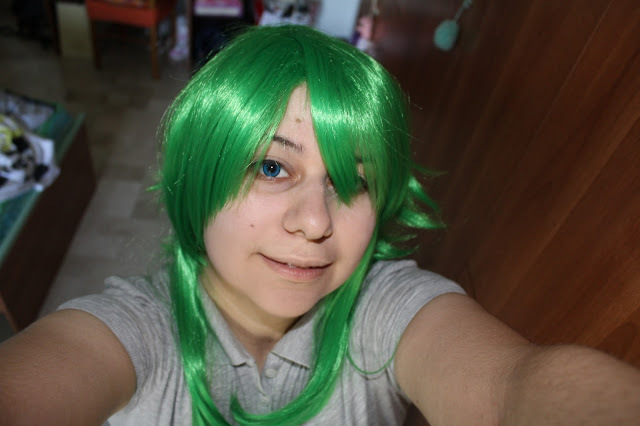 I did not style it yet, since my brother will be the one who will wear this wig, so I need him to wear it, in order ro adjust it to fit his face. Isn’t it amazing? So, summing up! 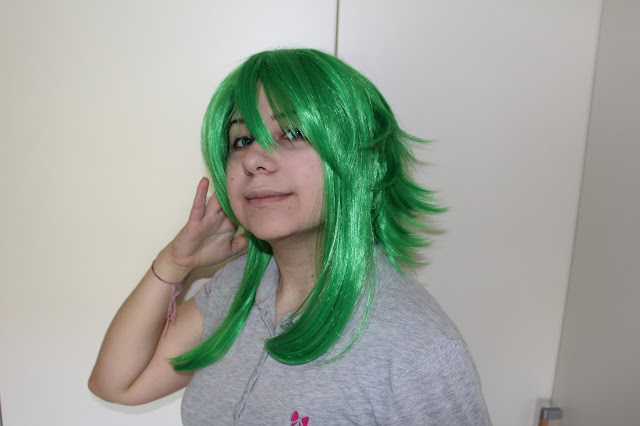 I keep on totally recommending you to buy wigs from her! I just warn you to ask her how it works if you live outside Italy. Both of us are Italian, so I do not have this problem. 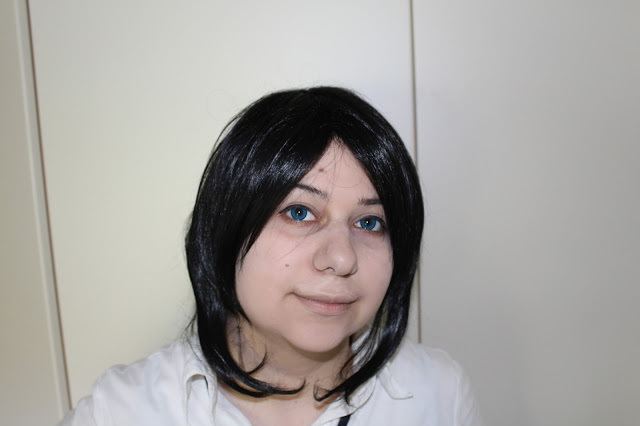 To order wigs from her you just need to send a private message to her Facebook Page Jenny Claus – Cosplay as Passion, sending her a reference pictre of the character or the wig you like and she will look for the best choices! And don’t forget to like her page and have a look at her cosplays, since she is amazing! 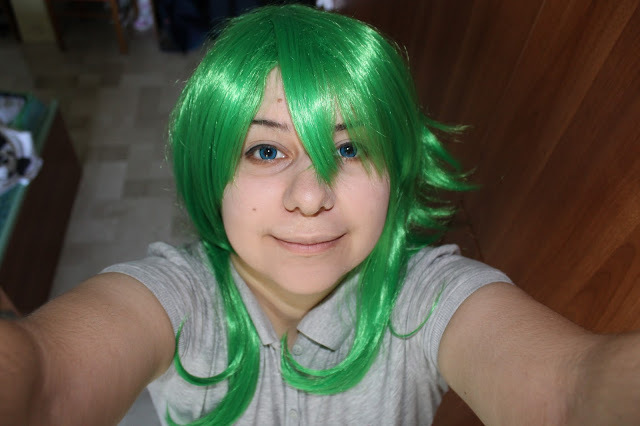 Here you are a little preview of my next cosplay: Gumi Megpoid – Poker Face version! 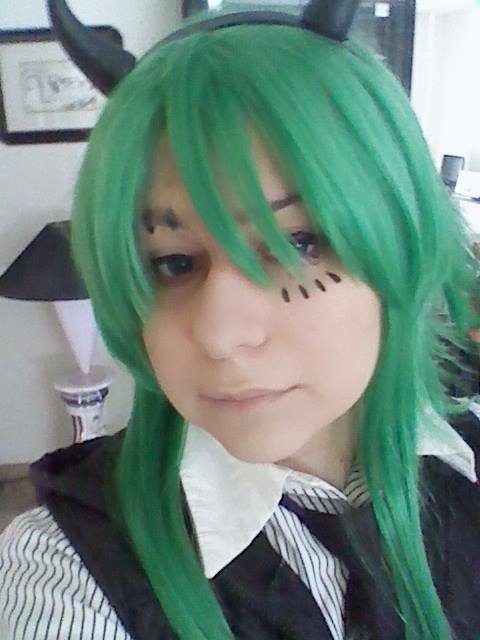 I will be wearing this cosplay on Saturday 5th September at ComicsPopoli and on Saturday 3rd October at Romics! So if you happen to be there, come and say hi! It would be amazing! This entry was posted in Buy Cosplay Wigs, Fashion Wigs, Human Hair Wigs, L-email Wig review, Wig Maintenance and Care, Wigs, Wigs Hairstyle Selections and tagged anime cosplay wig, best cosplay wigs, black cosplay wigs, cheap cosplay wigs, cheap wigs, cosplay, cosplay ideas, cosplay wig, cosplay wigs, cosplayers, fashion wig, fashion wig store, fashion wigs, L-email wig review, medium cosplay wigs, synthetic fashion wigs, wholesale wigs, wig maintenance and care, wig store, wig-supplier reviews.